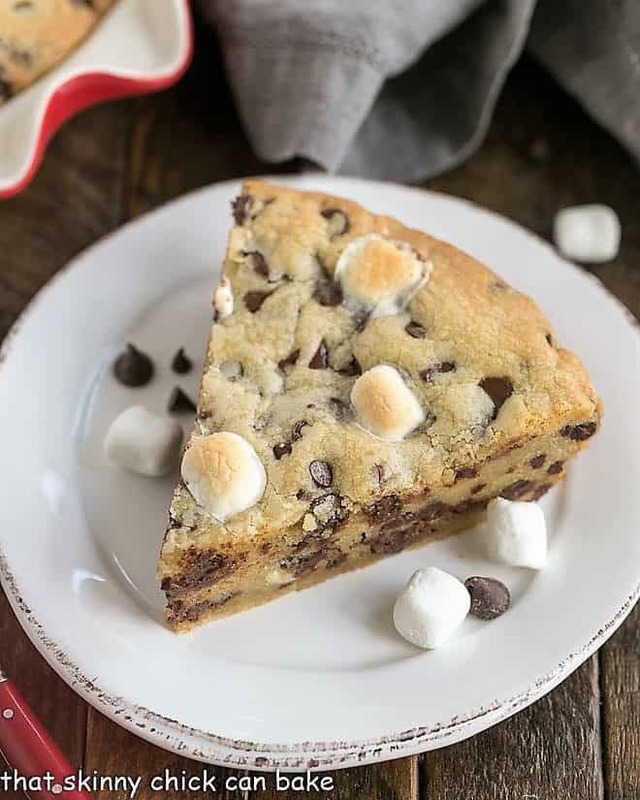 This easy to make Gooey Chocolate Chip Pie is a giant cookie filled with chocolate chips and mini marshmallow baked up in a pie plate. Every wedge tastes like a thick, chewy chocolate chip cookie with an overload of chocolate!! I think my family would be happy if I’d just make batch after batch of chocolate chip cookies. But in order to treat them AND have a fresh blog post to share, I have to get inventive. That’s where this gooey Chocolate Chip Pie comes in. 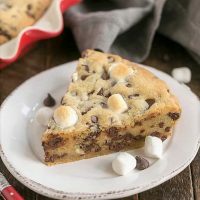 With both mini chocolate chips and semisweet chocolate chips and a surprise addition of mini marshmallows, this dessert was basically a humongous chocolate chip cookie! There were no complaints when this cookie pie came out of the oven. If you can make the most basic cookie dough, you can make this cookie pie or cookie cake. 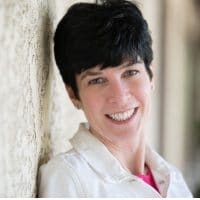 Here are a few tips to make the process go seamlessly. Get your butter out of the fridge an hour or two before you start mixing so it’s soft and easy to mix. Eggs, too, as they will incorporate more easily when not icy cold, but the butter is a higher priority. If you forget, you can microwave a stick of butter for 5 seconds, then check to see if it’s soft enough . If not, flip it over and microwave another 5 seconds. Prep your pan well. I found that greasing it with butter, then dusting with flour worked well. I like to mix cookie dough by hand, but I did use a mixer for this batter. You can cream the butter and sugar on a high speed, but once you incorporate the dry ingredients, turn your mixer down to low. You do not want to over activate the gluten in the flour and you also do not want to incorporate any excess air into the dough. 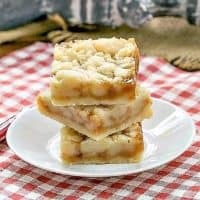 Over beating will make a more cake like pie, and you definitely want a chewy, dense consistency. Also mix in the chocolate chips and marshmallows with a wooden spoon instead of the mixer. The marshmallows will become misshapen during the mixing process, so I like to reserve some to press into the surface before baking. Usually, I spread the dough with an offset spatula, but it’s easier to press this dough into the pie plate with your hands, then smooth with the spatula if desired. I made divots with my finger, then pressed a few more mini marshmallows across the surface for a pretty presentation. This step is totally optional. The original recipe said to bake for 20 minutes but mine wasn’t nearly done at that point. It all depends on your oven. My gooey chocolate chip cookie pie took closer to 30 minutes. I’d rather under bake than over bake, but you do not want raw dough in the middle. Cornstarch added to cakes or cookies can soften the proteins in flour, therefore making more tender baked goods. 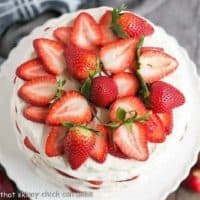 If you ever are out of cake flour and do a Google search on what to use instead, you’ll find that adding cornstarch to all purpose flour makes homemade cake flour. So here’s a bonus recipe for you. 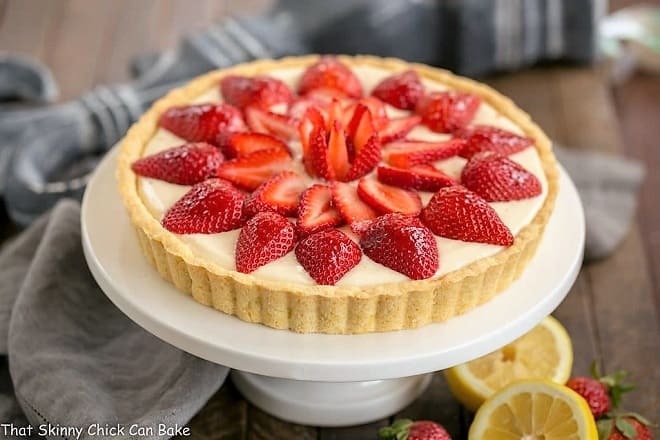 To make your own cake flour, measure out a cup of flour, then remove 2 tablespoons of the flour and replace with 2 tablespoons of cornstarch. Voila, you have one cup of a perfect cake flour substitution! So no excuses not to make this cookie cake! If I only made chocolate chip cookies for dessert, I wouldn’t get any complaints from the hubby. 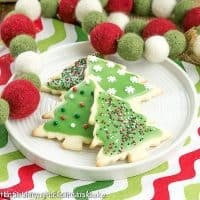 But to shake things up a bit, here are a few dessert twists on or using chocolate chip cookies! These Layered Chocolate Chip Cookies have chocolate shards instead of chips along with a special layering technique, and they are outrageously delicious! If you’re looking for an elegant dessert, this Mocha Chocolate Chip Icebox Cake is incredibly rich with layers of cookies and mocha mascarpone cream. When you’re craving s’mores but don’t have a bonfire or grill lit, this S’mores Cookie Cake will satisfy your sweet tooth. These Chocolate Chip Cookie Cheesecake Parfaits are darn tempting, too! Check out Danielle’s take on this Gooey Cookie Pie as well as her social media sites! Make sure to check out which of my recipes she made this month, too. 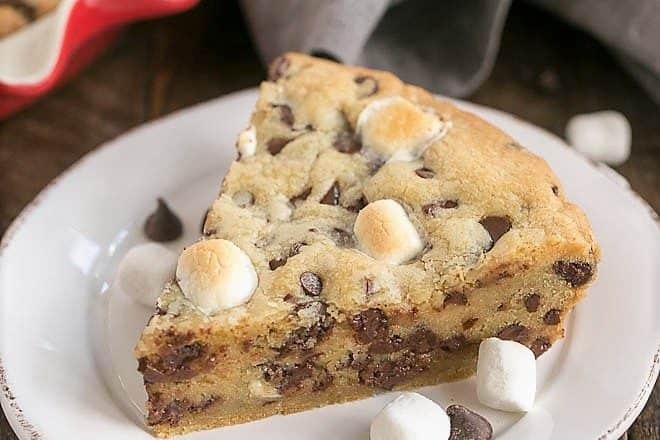 Chocolate chip cookie dough plus mini marshmallows are baked up into a Gooey Chocolate Chip Pie! Preheat oven 350 degrees. Grease a 9-inch pie plate with butter, then dust with flour or use a flour and oil baking spray. With a hand mixer, beat together the butter and sugars. Add egg and vanilla and mix until combined. 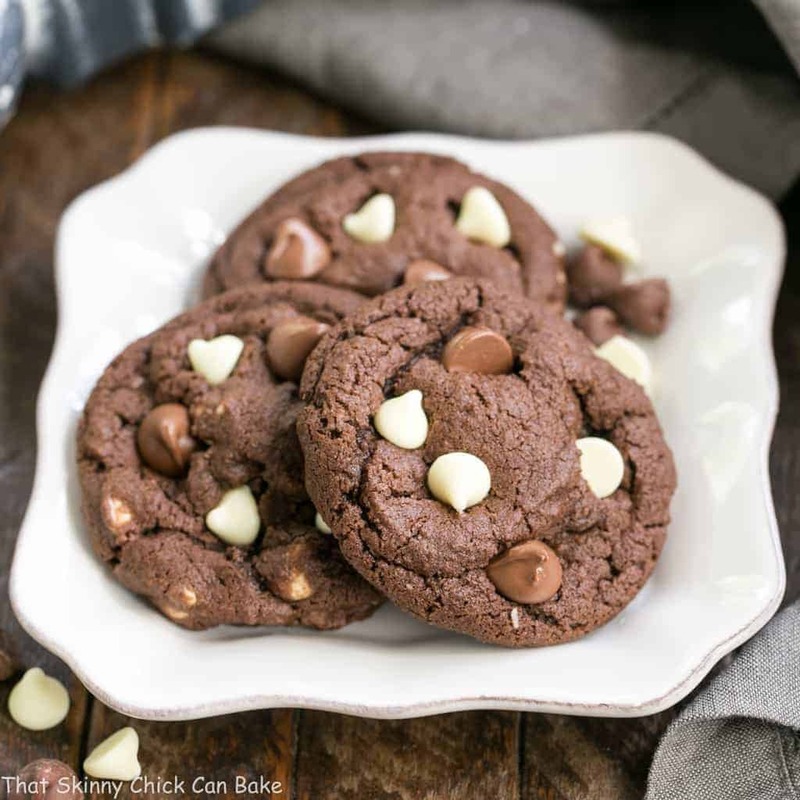 Adjust your mixer to low to incorporate the dry ingredients, then carefully mix in the chocolate chips and marshmallows with a wooden spoon or spatula. 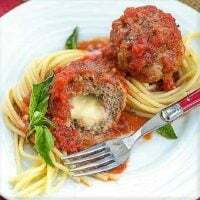 Press into the prepared pan and bake about 20 minutes for a gooey center or 30 minutes for a firm center. Cool to room temperature before cutting into wedges. Oh my goodness! The marshmallows send this over the top in the best way! Love it! This reminds me of a giant chocolate chip cookie! The pie looks heavenly…your family is so lucky! SO good. My kids love chocolate chip cookies and marshmallows. I never thought to put them together before! 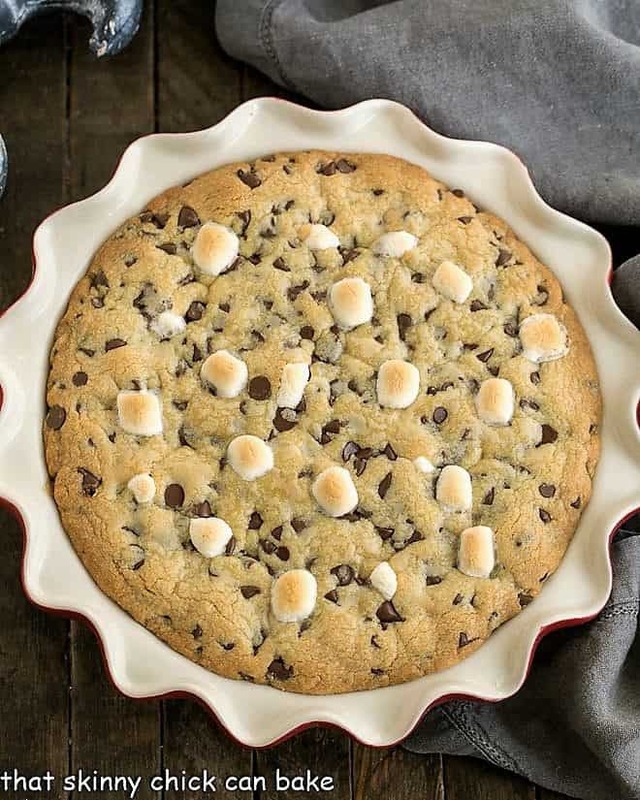 Wow Liz, this super huge chocolate chips cookie (pie) looks decadent…and yes, I think we could have this everyday too. Thanks for the tips too…have a wonderful week! This chocolate chip pie is basically my son’s dream dessert come true, haha! And mine for that matter!! It would NOT last long around this house – goooooey goodness! 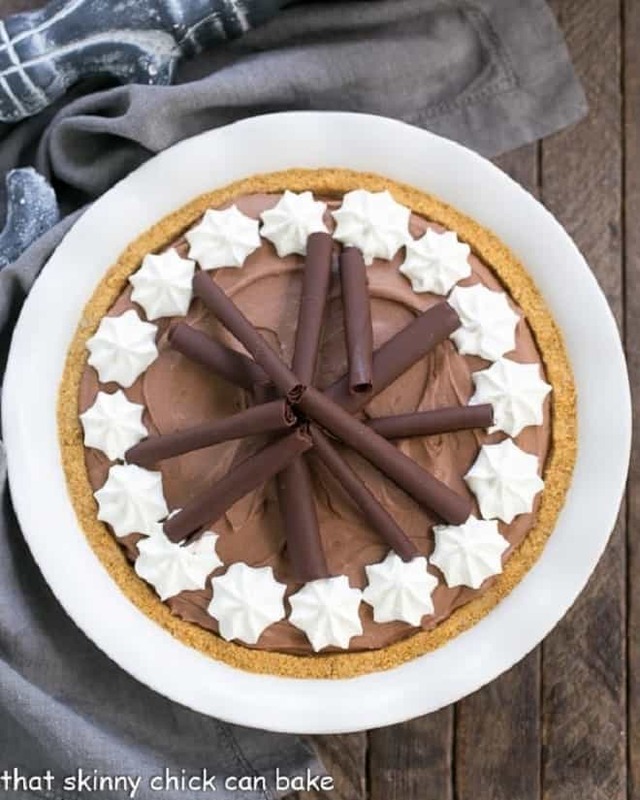 You had me at gooey chocolate, this is my dream pie! I have made giant choco chip cookies but not as a pie, man that is deep too lol. Love the added marshmallows! 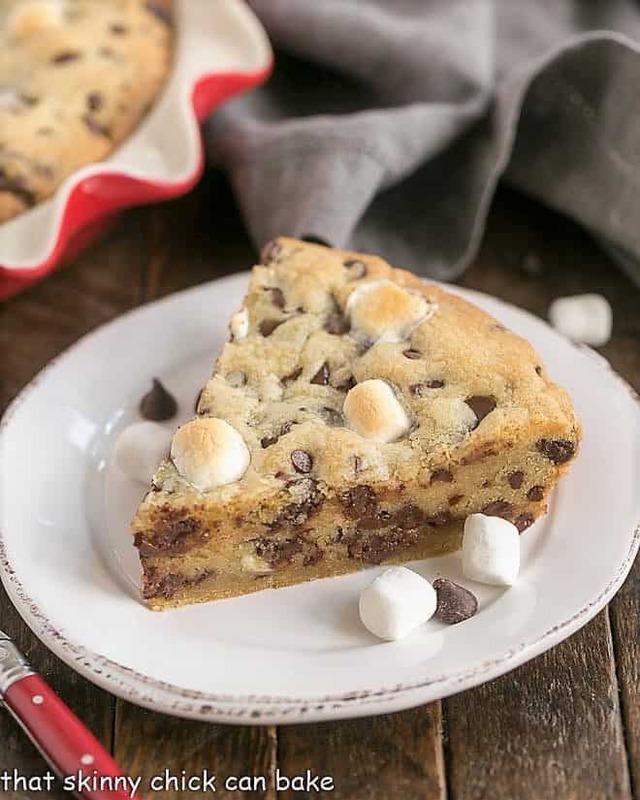 Dear Liz, your Gooey Chocolate Chip Pie looks like a decadent treat for all chocolate lovers and the addition of mini marshmallows looks very pretty! Yup, I could be talked into a diet of nothing but chocolate chip cookies too. But knowing me, eventually I’d want some variety. Enter this great looking chocolate chip pie! Because man can’t live by cookies alone. 🙂 Super recipe — thanks. Keith and I are ALL ABOUT gooey cookies. How have I never thought about making a pie like this? Looks fabulous, Liz! Wow! I am very tempted to bake this! Perhaps I could do some modification to make a smaller pie because my family are not really into sweet pies.